The Rebel Sweetheart. : Join | Summer Solstice Giveaway! Join | Summer Solstice Giveaway! 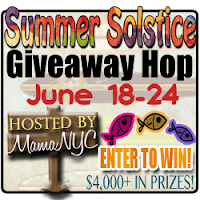 The Rebel Sweetheart welcomes you to the 2012 Summer Solstice Giveaway Hop hosted by MamaNYC! Over 100 bloggers have teamed up to bring you some amazing prizes to start your summer! This event will run from June 18-24, 2012 and hopefully you’ll be able to find (and win!) some great summer prizes, which will help you at the beach, BBQ, or backyard fun in the sun! Each of our giveaways features a prize value minimum of $25.00 and there is plenty of time to hop down the entire list! 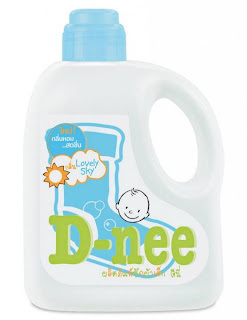 A few weeks ago, I had the chance to try and review some of D-Nee Baby's products. 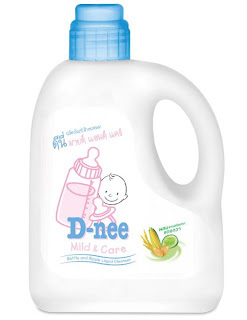 My wonderful experience and positive feedback for the liquid detergent and the liquid cleanser roused the curiosity of my readers, particularly mommies and green living advocates. As such, Transaxion Unlimited, the brand's local distributor happily agreed to help me out in this particular event. As always, all you have to do is cast your entries via the Rafflecopter below. While you are not required to complete all of the tasks, you are encouraged to do as many as you can so you can earn more entry points. After you've entered my giveaway, please take time to visit some (or all!) of the other participants in the Summer Solstice event. my Liquid detergent is ariel. I use Purex most of the time. Entered! :) Following you from MamaNYC! I'm using Tide and Joy anti-bac. I currently use Purex or Xtra detergent. Thanks. My current laundry detergent is Tide. We use Dreft for my daughter. Hi, Glad I found you on the Blog Hop. I joined you as Kathy B. Please come by. your always welcome, http://www.southernmadeintheshade.blogspot.com. The Not-So-Great Executive Optical Mix-up. Join | Coupon Haul's Summer Lovin' Giveaway! Join | Nintendo Gaming Giveaway! Win an Urban Decay Naked 2 Palette! Sign-Up | Michelle B. Cookware Giveaway. Sign-Up | Dyson DC24 Giveaway. Win This Bag Week #1 : Fendi Spy Bag! Sunday Shuttering | Guavas and Oranges. Sign-Up | Eight Weeks of Handbags. Join the Fun in the Summer Celebration Giveaway! At a Glance | Skin Food Royal Honey Eye Cream. Join | Herbal Destination Giveaway! EcoTools | Brushes for the Environment-Conscious. Say Hello Diamonds | Review + Giveaway! Join | Soda Stream Giveaway! Join | Aeropostale Summer Wardrobe Giveaway! Sign-Up | $200 Amazon Blast. A Surprise Visit to my Happy Bubble! G&L Clothing | The Store for All Sizes. Foodie Goodie | Red Ribbon Leche Flan Roll. Sign-Up | Bloggers Giving Back Baby Bash. Sign-Up | Say Hello Diamonds. Join | Madame Deals Coach Purse and Wallet Event! Hanguk Saram + Nihon Jin? Sign-Up | Herbal Destination Giveaway. Bye Bye Baby, Hello Little Learner! Join | Xperience Days Father's Day Giveaway! Win a Gift Box for Dad! Join | Sunsational Summer Giveaway! B + C | Our Ninth, Our Fourth. Sign-Up | Back to School Blast. Sperry Top-Sider Shoes | Style and Comfort. Sign-Up | Diamond Candle Review + Giveaway! Join | Fun in the Sun Giveaway! Join | Dyson Housewarming Giveaway! Join | Photo Frenzy Giveaway! Foodie Goodie | More Marks and Spencer!